Mount Pilatus is elusive and deceptive in the name, shape and even size. Firstly, it is not a single mountain, but a mountain massif made up of several peaks, the highest is 2,128m. It is called Tomlishorn and is located about 1.3 km to the southeast of the top cable car and cog railway station. The two peaks right next to the stations are called Esel (Donkey, 2,118 m), which lies just east over the railway station, and Oberhaupt (Head-Leader, 2,105 m). On the official site Mount Pilatus is said to be 2,132m a.s.l, they even have an adventure called “2132 possibilities above sea level”. Can a mountain grow 4 meters taller the moment you flick the internet sites? Apparently, it can. If you are at a loss with navigation, use PeakVisor peaks recognition app to help you out and you’ll never again have to rack your brains about what the mountain is. Moreover, even though Mount Pilatus is often called Lucerne’s “own” mountain, it is actually under the jurisdiction of three cantons: Obwalden (OW), Nidwalden (NW) and Lucerne (LU). 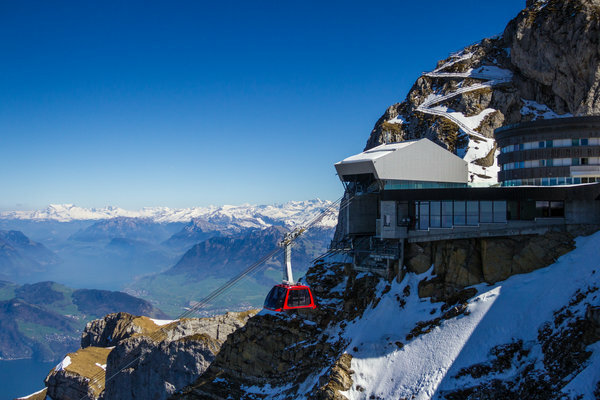 Mount Pilatus has two aerial cableways, two hotels on the top, seven restaurants, the world's steepest cogwheel railway, Central Switzerland's biggest rope park and Switzerland's longest summer toboggan run. It is an awesome place for common hikers, thrill seekers and hardened mountaineers. 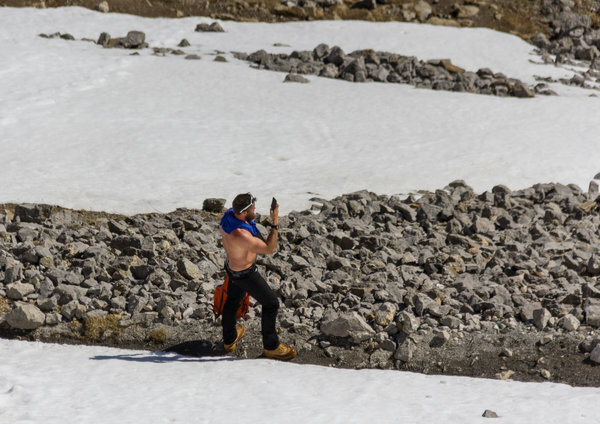 The mountain is covered with snow until about mid-May, so you have to check out what routes are open should you wish to have some climbing experience. If you were a Bible fan, then you would take the version featuring notorious Pontius Pilate, the 5th prefect of the Roman province of Judea 26-36 AD being buried here, thus giving the mountain its name. The man is sadly known for being in the trial of Jesus and later, his crucifixion. However, there is a similar legend told of Monte Vettore in Italy, so Pontius Pilate can rest in peace there as well. 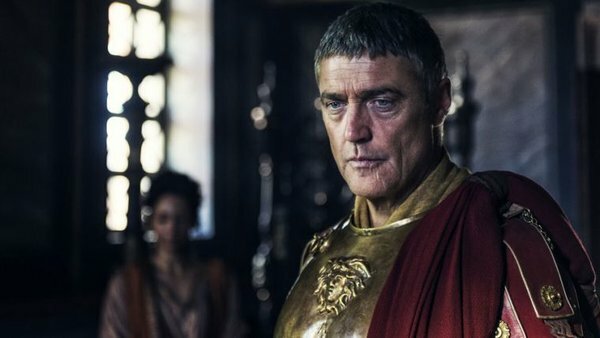 There is a nice article on Pontius Pilate on Routes.Tips blog. Another legend says that the mountain looks like the belly of a large man, Pilate, lying on his back (no Bible reference here, just a name). Alternatively, one more legend refers to dragon Pilu who used to live in the mountain’s cave, as a proof, there is a fabulously mind-blowing dragon path at the top of the mountain. The dragon is also present on the uniform of Mount Pilatus maintenance team. 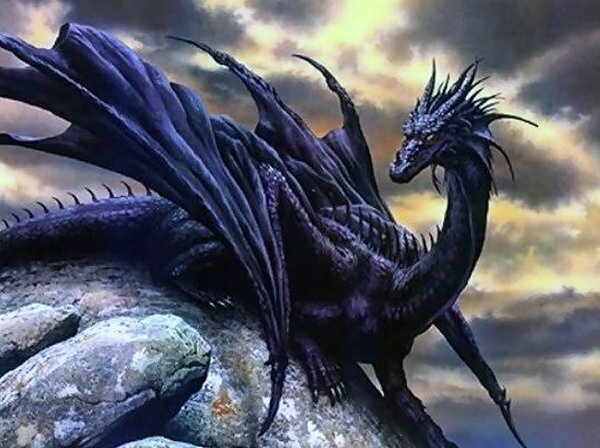 The search for dragons was actually scientifically backed up as long as 300 years ago. Johann Jakob Scheuchzer, a Swiss physician and naturalist from Zurich, was searching for dragons in the Alps in the early 1700s, determined to either confirm or dispel the rumours about this fantastic creature. Scheuchzer’s pursuit of dragons was motivated in part by the dragon stone of Lucerne, because in medieval times, it was believed that dragons with healing powers lived in the rugged clefts and crevices of Mount Pilatus. Unfortunately, all he found were the fossils of quite common endemic animals. Yet, having studied the local lore, J.J. Scheuchzer came up with a catalog of dragons. 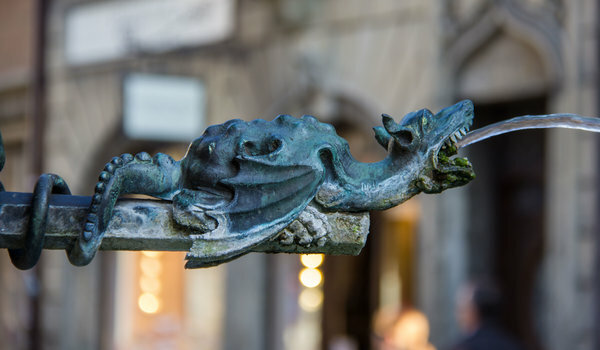 You can read more about the dragon legends in the Alps in this blog. Or see them as street drinking fountains in Lucerne. Another dragon chronicle dates back to 1619 and reads: 'as I was contemplating the serene sky by night, I saw a very bright dragon with flapping wings go from a cave in a great rock in the mount called Pilatus toward another cave, known as Flue, on the opposite side of the lake'. This legend was the inspiration for Steven Reineke’s famous concert band piece, Pilatus: Mountain of Dragons. The most probable and simple origin of the name seems to be a derivative from "pileatus" meaning "cloud-topped”. Judging by the weather conditions, and the mountain height this seems to be the most probable version. Located in the heart of Switzerland, Mount Pilatus has excellent transport connections. The valley stations in Alpnachstad and Kriens/Lucerne are easily accessible with direct motorway access. Traveling to the foot of the mountain by rail, boat or bus is just as quick and convenient. A2 motorway following signs for Lucerne; take 'Luzern Süd/Kriens' exit. Train to Lucerne, then bus no. 1 (Kriens) to the 'Kriens, Zentrum Pilatus' stop (approx. 15 minutes), then 5-minute walk to the Kriens base terminus. A8 motorway following signs for Sarnen/Interlaken; take 'Alpnachstad' exit. Train to Lucerne then on to Alpnachstad station. Alternatively, take the boat from Lucerne (landing stage no. 2) to Alpnachstad (50 - 90 minutes). Here you may find Swiss Timetable. The cogwheel rail winds up through lush meadows carpeted with Alpine flowers, past sparkling mountain streams and fascinating rock faces to arrive at the Mount Pilatus vistas. Bear in mind that the cogwheel train from Alpnachstad does not operate in winter, from about mid-November to mid-May (depending on the weather). It is the steepest cogwheel railway in the world with 48% incline, if you feel unsteady with heights, better not go, as it covers rather precipitous spans. The price is equally dizzying – 72 CHF for an adult, 36 CHF concessions and Swiss Half Fare Card. The 3-minute-39-second ride is as exhilarating as free flying. You are zoomed up from Fräkmüntegg to Pilatus Kulm in a spacious gondola that can take 55+1 people (the official stats, I wonder who that +1 might be). Sitting (12 seats) or standing, you will have a bird’s view of 75 Alpine peaks (and PeakVisor app will help you see which is which), going up 646.6m over 1,387.6m-long route. The cable can transport 589 people per hour. This is a cherry on a pie of 150-year-old tourism industry of the region. Having invested 18mln. CHF, Pilatus-Bahnen AG completed the construction work in a year, launching the cable in operation on April 03, 2015. The price tag is impressive (32 CHF return ticket), but it is a good investment into your fabulous travellers experience. In any case, man-made beauty is seldom cheap. The single tickets might seem the cheapest, but they are not too money-wise. When in Switzerland, it seems impossible to economize on your expenses, yet there are all kinds of packages that can still minimize your inputs and maximize efficiency. 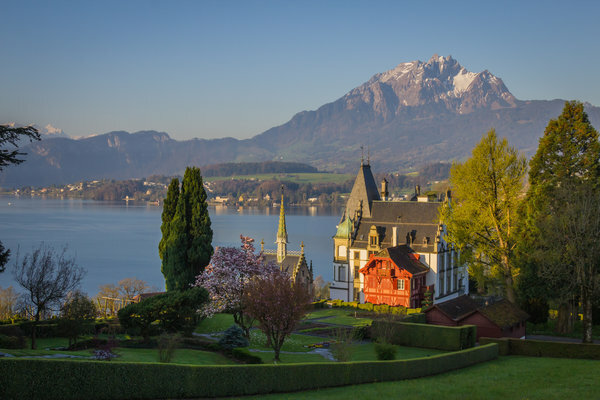 The most popular offers are “Golden or Silver Trip Tour” from Lucerne that includes a boat trip on lake Lucerne as well, Swiss Travel Passes (216 CHF per 3 days, up to 722 CHF per 15 days) and Family Cards. Mount Pilatus activities are seasonal, in summer you are welcome to do some hiking, climbing, mountaineering, mountain biking, exploring the rope park, tobogganing and even paragliding. Just make sure you don’t forget to check the open facilities at the official website. Winter closes up many hiking routes, but you are welcome to ride down the slopes in sledges, bobs, toboggans, air boards, and yes, skis. Mount Pilatus has the longest summer toboggan run on the Fräkmüntegg. This place guarantees cool thrills and spills, no special training is needed, but if you are a fussy mum, don’t look at your kids covering tricky trails that require balancing and climbing cool aerial ropeways or overcoming challenging obstacles. When planning your trip, allow at least 2-3 hours here. The Monkey Trees are probably the most exciting, they look menacing but your freefall is as smooth as a baby’s bum. You climb up 14 meters (suitable for children from the age of 8) and let yourself fall and abseil gently to the ground. The rope park is absolutely safe, even though kids have to change D-links’ position themselves. You are given a thorough safety briefing and demonstration, get suited up in a safety harness, helmet and gloves, and set out to tackle the park’s thrilling treetop obstacles. You can also opt for a ride on the Power Fan (CHF 5 per jump), a 20-meter ‘freefall’ attached only by a 6mm diameter rope. A braking mechanism takes over allowing you to land gently on your feet without any jerking, jarring or bouncing. You reach the Power Fan after the special «Dragon-Jump»-trail. Power Fan is unique in Central Switzerland and perfect for adventure-seekers aged eight and older. After leaving the rope park, perhaps re-fuel with a delicious lunch at Restaurant Fräkmüntegg. The PILU®-Land adventure playground is all for kids’ pleasure, it is located on the Krienseregg. If you are traveling with kids who are under 8, go here. Moreover, this adventure playground has a lot of barbecue spots complete with wooden tables and benches – perfect for birthday parties, school trips and family get-togethers. Some are even sheltered from the elements. Mount Pilatus is generous with routes of all degrees of difficulty. Pilatus Kulm or Aemsigen are the best starting points for all climbing routes. Galtigentürme. Mountaineers climbing the four Galtigentürme (rock pillars) are rewarded by magnificent views of Lake Lucerne. The length of each tour can be individual as the tour can be broken off after each pillar. Climbing time: 3 – 5 hours (all four pillars). Matthorn sounds almost like Matterhorn but is so much safer! The Matthorn offers routes of all degrees of difficulty. Enjoy the advantages of the Matthorn: plenty of sunshine, a breathtaking Alpine panorama and first-class cliffs offering an invitation to a range of slab and friction climbs. Mattalpplatte is ideal for climbing courses or as a warm-up area, offering interesting slab climbs. Holzwangflue offers superb water-gulley climbs, plenty of ibex and a good approach. If all you have is just trekking boots, then when you are standing on the viewpoint at Fräkmüntegg take the right trail (there are two: left, which is 2h25min, and right, which is 2h40min long) and breathe in the Alpine beauty. You will see the cows with bells softly chiming on their necks, the sound is carried over long distances. The path can be hard at some places as you have to pull yourself up the rocks using the chains pegged into the boulders. But the photos you take along the way are astounding. If you choose to go up and down on foot, it will take about 5 hours. There are many hiking routes available near Lucerne. For more options, please check Routes.Tips/explore. Your biking escapades are limited to the forests above Kriens that have specially marked biking trails, unfortunately bikes are not permitted on Pilatus-Bahnen AG cableways and railways. But do not despair, you’ll have a lot of fun in the forests. Mount Pilatus offers a 1600-meter altitude difference for an unforgettable paragliding experience. This is an extremely challenging paragliding region, probably it is better to go here after you conquered the paragliding Mecca in Mount Generoso. The mastery of the parachute is absolutely essential, the slopes are steep and winds may form eddy currents thus causing dangerous canopy collapses. In addition, westerly winds on Pilatus Kulm can cause deceptive updrafts, which are turned to the southwest by the Eselwand rock face. In southeasterly to easterly winds, the take-off point on the lee side is often windless and the two contrasting wind directions first become unpleasantly apparent when flying around the Eselwand. The mountain offers snow enthusiasts great things: you can take a daring high-speed ride over the snow using skis, toboggans, sleds, mini-bobs, air boards and what not. Or, you can just walk around and have a nice warm meal in one of the restaurants at the top of the mountain. When you are standing on the top of the world, just outside the Dragon Way (Drachenweg), you can see the aerial gondolas floating by, just beware of the impudent yellow-beaked birds that can sit on your shoulder, head, arm, virtually any place, especially if you have something tasty in your hands. The panorama is gorgeous, you can behold the Bernese Alps: Moench, Eiger, Jungfrau, Titlis, Finsteraarhorn and many more mountains from here. The routes not to be missed are on Mount Rigi, Stanserhorn, Burgenstock, Niderbauen, Fronalpstock. If your head or heart does not tolerate the heights, you can still enjoy Mount Pilatus from afar, through PeakVisor app lenses or from many spots in Lucerne. 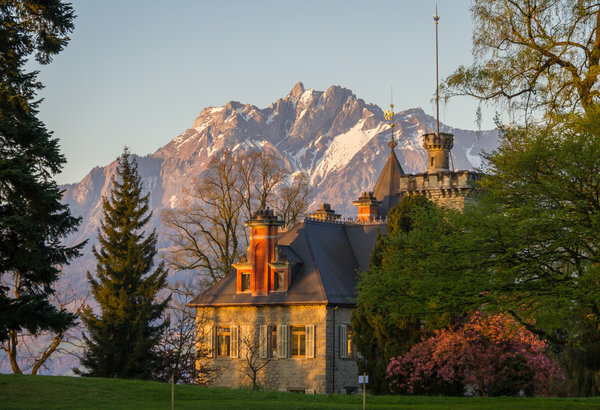 For instance, a park near Lucerne conservatory offers unique views, or castle Meggenhorn and Stanserhorn gives you spell-bounding look at the southern wall of Mount Pilatus.